Thailand is a wonderful destination with fascinating history, culture, enchanting temples, exotic islands, gracious hospitality and innumerous entertainment opportunities. Even on a tight budget, Thailand does not disappoint anyone. 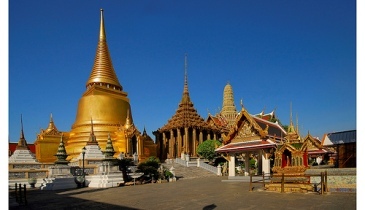 Bangkok and Pattaya are the most popular destinations. Pattaya offers long stretches of palm fringed white sand beaches, water sport activities, freshest seafood and pulsating nightlife. 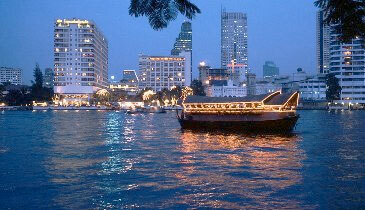 Try the spicy street food at Bangkok, befriend locals, enjoy the pulsating nightlife and… shop! With high number of tourist arrivals, Bangkok & Pattaya have excellent selection of cuisines as wells as an incredible choice of accommodation. More money or less money, everyone equally enjoys at the land of smiles. On your arrival at Bangkok, complete airport formalities including custom clearance, visa processing and baggage claim. Thereafter, meet our Local Tour representative at the specified area mentioned in your vouchers. Board your coach to Pattaya and enjoy outside views on way. 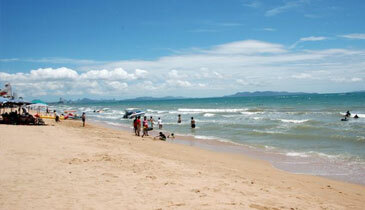 On arrival at Pattaya, check in at your hotel (Standard Check in time 1400 - 1500 hours) and relax. The evening awaits your presence to show you its grandeur at the Alcazar Show. It is a world famous cabaret featuring vibrant light and sound system, beautiful stage design, enticing dance performances and extravagant costumes. After the show, proceed to Indian restaurant for dinner. Later return to hotel and retire to a peaceful sleep. Wake up to a beautiful morning and charge yourself with morning breakfast at the hotel. Today calls for an exciting day with full day of sightseeing. Set out for a fun filled time at Coral Island. A few miles off coast Pattaya, Coral Island or Koh Larn is a very famous island where you can lay lazy on white sandy beach and enjoy various water sports. You can go scuba diving on your own cost and risk to explore beautiful and extensive corals or enjoy snorkeling in crystal clear lagoons. Later return to the hotel. In evening proceed for a visit to Underwater World Pattaya, one of the largest and most modern ocean aquariums of Asia. It is an indulgent attraction of the city that showcases rich variety of marine life found around the region. Witness the brilliance and diversity of undersea life through a pedestrian tunnel under water bringing you close to more than 4000 marine animals comprising of more than 200 different species. Enjoy dinner at an Indian Restaurant. Later return to hotel and relax after an eventful day. Have your fill at morning breakfast, pack your bags and check out from the hotel. We take a panoramic city tour of Pattaya and visit World’s biggest Gem Gallery. Later proceed to the famous Sriracha Tiger Zoo to watch a spectacular show with these majestic creatures. Opened in 1997, this unique zoo offers visitors the chance to get up close and personal with the tigers. You can feed the tiger cubs and play with them. Later enjoy a delicious lunch at the restaurant inside the zoo. Further we drive back to Bangkok. On arrival, check-in at the hotel and relax. Evening is free at own leisure to explore nearby places on own. Later return to hotel after having dinner at Indian restaurant & retire to a relaxed sleep. Wake up to a vibrant morning in the land of unlimited delights. Recharge yourself with morning breakfast and set out to have a thrill-filled day at Safari World & Marine Park. Safari World is Thailand’s greatest open zoo and leisure park that offers loads of thrills and entertainment for all ages. Enjoy a spectacular and nerve-tickling safari drive through African wilderness setting, get close to the most intelligent and friendly marine animal- dolphins, watch the unique tiger & lion feeding show or enjoy other world-class shows. Explore, discover and have loads of fun spending a day with the wonderful creatures. Take a breather and have lunch before going in to explore other fun activities in the park. Later return to hotel and relax. In the evening, you can go out for shopping or explore nearby places on your own. After having dinner at Indian restaurant, return to the hotel.